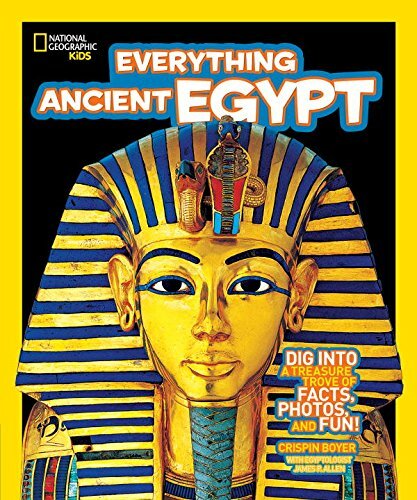 You are here: Home / Africa Travel / Egypt / Learning About Egypt, for Kids, by Kids. Regular readers will know that we just spent almost a month in Egypt. Why? 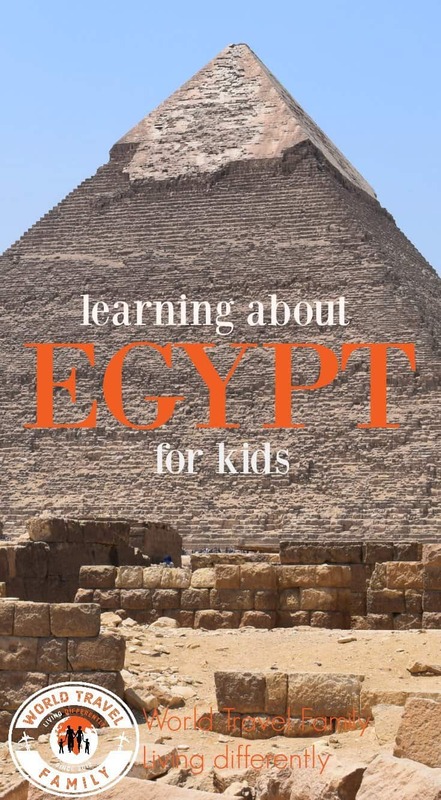 For fun, obviously and to please our kids who are fascinated by learning about Egypt. I think most kids are. 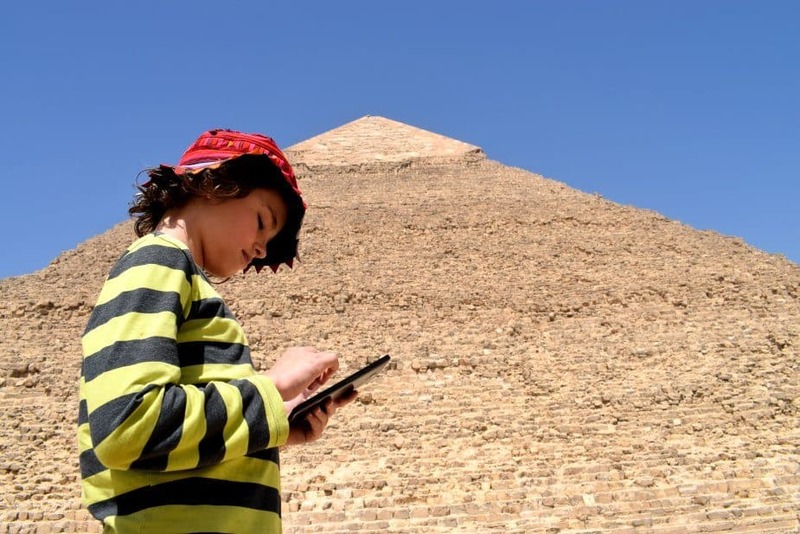 Ancient Egypt, the Sphinx and the Great Pyramid ( allegedly the last of the 7 Wonders of the World) hold a unique fascination for children and my boys are particularly interested because of their own reading. 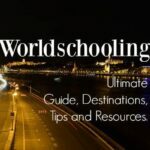 We are homeschoolers, unschoolers or world schoolers depending on our mood, so after a month of free learning, we often come home and try to consolidate what we’ve learnt. This time something different. I’ve let the kids write most of this post. They picked their favourite things about modern and ancient Egypt to share with you and your kids. Learning resources, books and movies are also included. 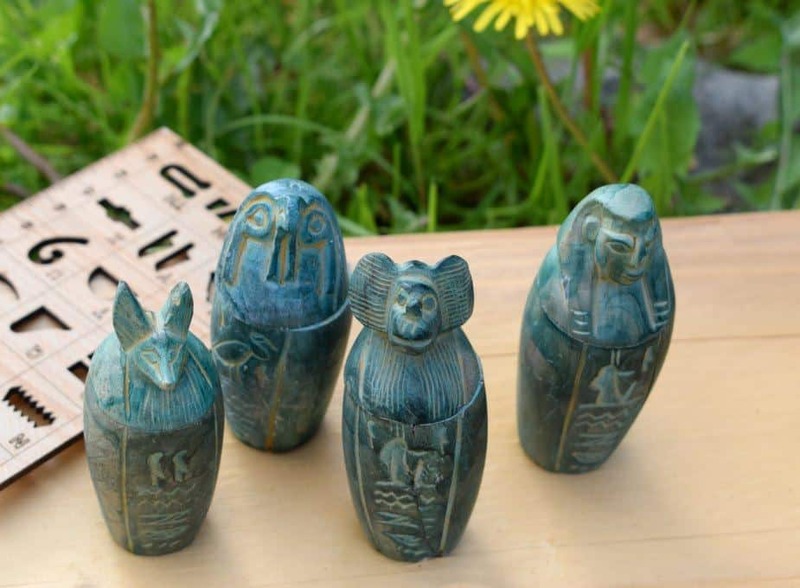 These are my canopic jars, I bought them in Egypt, they have the four heads described below. I love them and bought them myself at Giza. D is 12, Boo is 10, they worked on this post together using what they learned in Egypt, what most impressed them, what they’ve picked up from reading and Google to fill in some hard facts. Mum then helped fix up some of the grammar and we found our favourite photos and YouTube videos to help tell the story. I hope you find it useful and maybe you could incorporate our experiences into your own home education plan or unit study. This is how we learn on the road. Is it better than school? You tell me what you think in the comments, I know what I think. Over to the boys. King Tut’s canopic jars in the Cairo Museum do not have the typical 4 character heads, they have King Tut’s face instead. They still contain his organs, now turned to dust. The brain was thought to be the source of mucus, so was liquified, drained and discarded. The heart was considered the home of the soul and was left inside the mummy. Pharaohs were often buried with clay statues called shabti, these represented servants to serve the Pharaohs in the afterlife. The pharaohs were also buried with treasures such as gold, canopic jars, gemstones, food, jewelry and furniture all of which were for use after death. Unfortunately almost all of the tombs were looted by grave robbers. 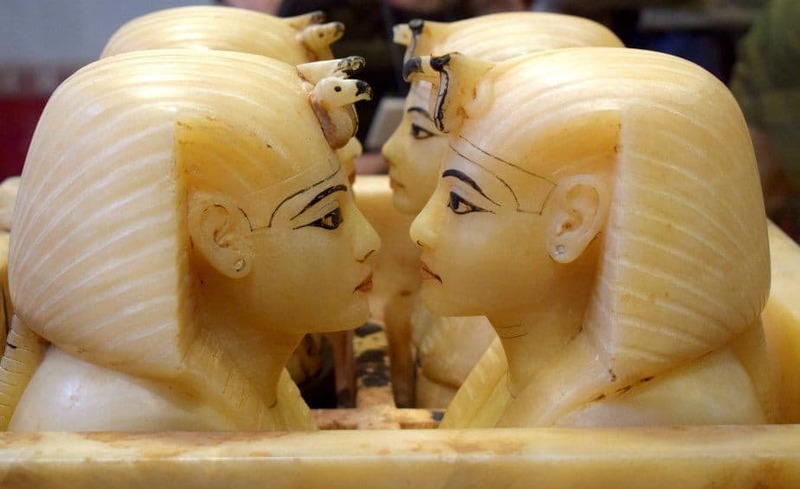 The only tomb found untouched was the tomb of King Tutankhamen. The Nile and the Aswan Dams. Standing on The High Aswan Dam looking north along the Nile, Lake Nasser is the other side, behind us. 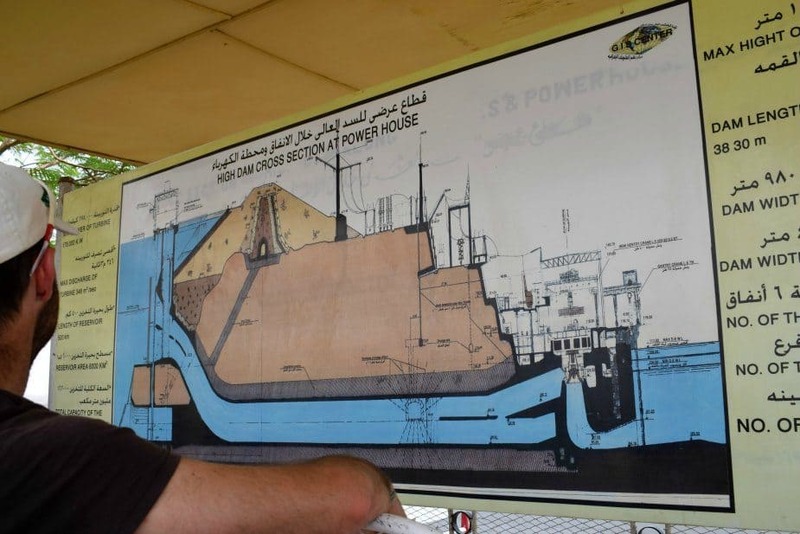 My dad looking at a diagram of a cross section of the High Aswan Dam. The Nile is vital to life in Egypt. 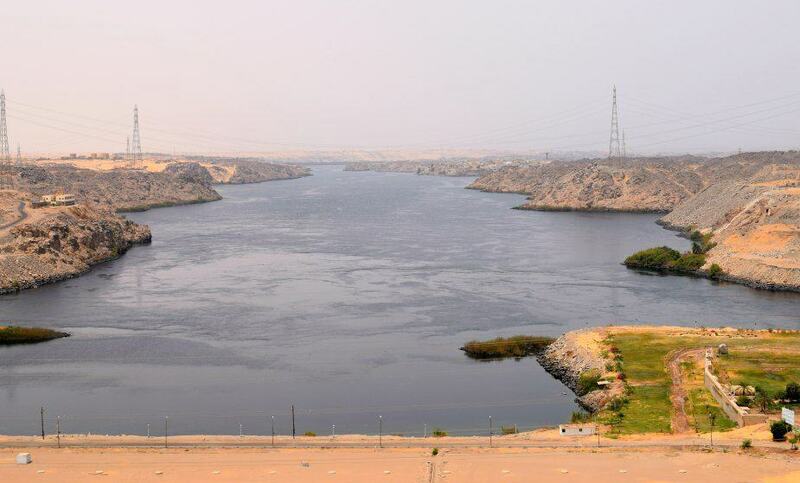 The world’s longest river supplies Egypt with water. Before the High Aswan Dam was built it brought rich and fertile new soil when the Nile flooded. Now all of the silt is trapped in Lake Nasser. 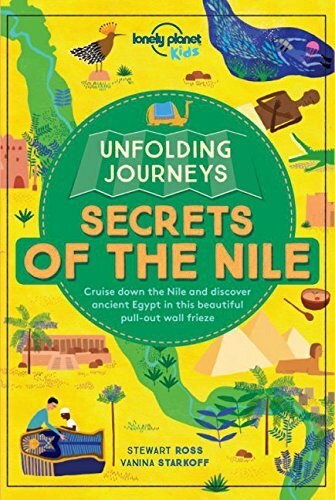 The flooding of the river was vital in the creation of the pyramids on the west bank of the Nile because the stone was quarried on the east bank and transported via boat . This was only possible when The Nile was in full flood, it used to flood right up to the pyramids. The Nile originates in Burundi and flows through Tanzania, Uganda, Rwanda, Burundi, Congo-Kinshasa, Kenya, Ethiopia, Eritrea, South Sudan and Sudan before reaching Egypt. 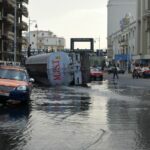 It eventually enters the Mediterranean Sea after fanning out to become a delta in Northern Egypt. There are two dams on the Nile at Aswan. The low dam is smaller and older. The High Aswan Dam was built between 1960 and 1970 to generate hydroelectric power and to allow irrigation of crops year round and in times of drought. The dam was built under President Nasser, he called it a pyramid for the living and the lake it created, Lake Nasser, is the biggest man made lake in the world. The formation of the lake meant that many ancient Egyptian temples had to be moved, including Abu Simbel. The lake stretches to Sudan. King Tutankhamun’s tomb was found by Howard Carter in 1922. It was discovered in the Valley of the Kings which is on the west side of the River Nile at Luxor . Luxor was called Thebes in ancient times and was the 2nd capital of Egypt after Memphis. King Tutankhamun was a boy king, he married his sister at ten years old and died only 9 years later. King Tut’s treasure is in the Egyptian Museum in Cairo, his mummy is in a glass case in his tomb at the Valley of the Kings. I found that King Tut’s mummified body scared me a little. The gold was beautiful. The video is about how the tomb was discovered and the legend of the curse of King Tut. Akhenaten was an Egyptian Pharaoh who originally went by the name Imhotep IV, like his father, Imhotep III. He changed his name to Akhenaten when he founded the religious cult of Aten, the sun disc. Akhenaten’s religion was probably the first to worship one deity ( monotheism) rather than many (polytheism). Akhenaten was married to Nefertiti. Nefertiti means ” the beauty has come” and she was considered very beautiful. 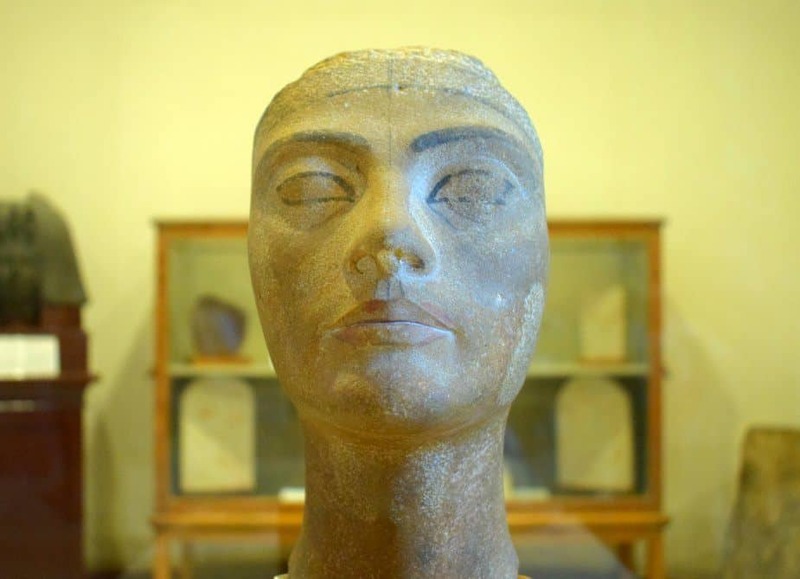 There is only one image of her in the Egyptian Museum in Cairo ( below). 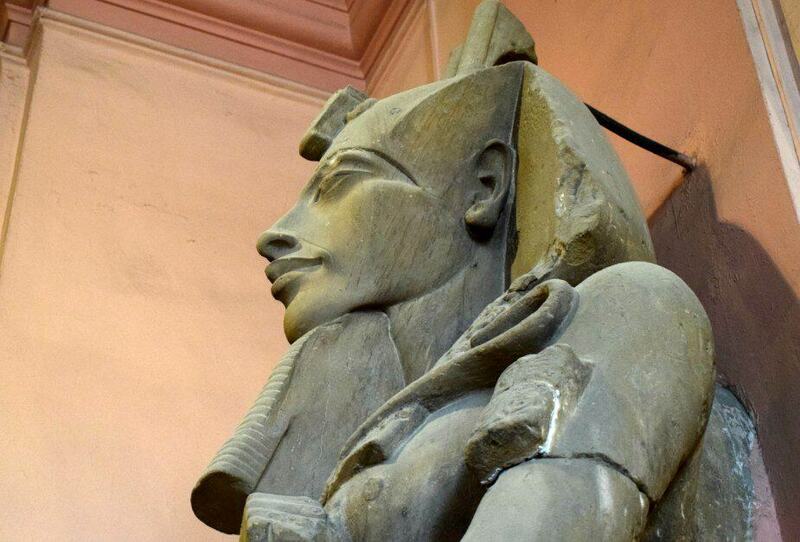 Akhenaten at the Egyptian Museum in Cairo. Akhenaten was really spooky looking. Nefertiti and Akhenaten ruled around 1300 BC, three and a half thousand years ago. Akhenaten’s tomb is thought to be in the Valley of the Kings. 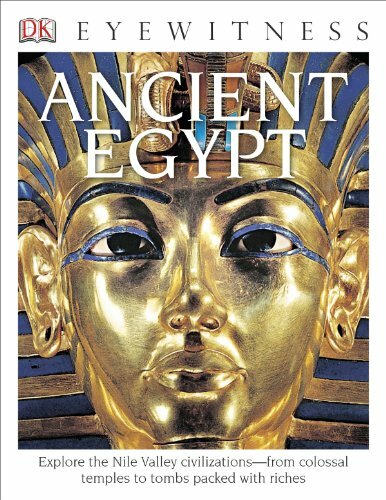 He was probably King Tutankhamun’s father (video on DNA analysis of King Tut here), but Nefertiti was not his mother although she was chief wife. Their religion was overthrown after Akhenaten died and Egypt returned to the old gods. The Godess Hathor with her cow ears at Hatshepsut’s Temple, near the Valley of the Kings at Luxor. 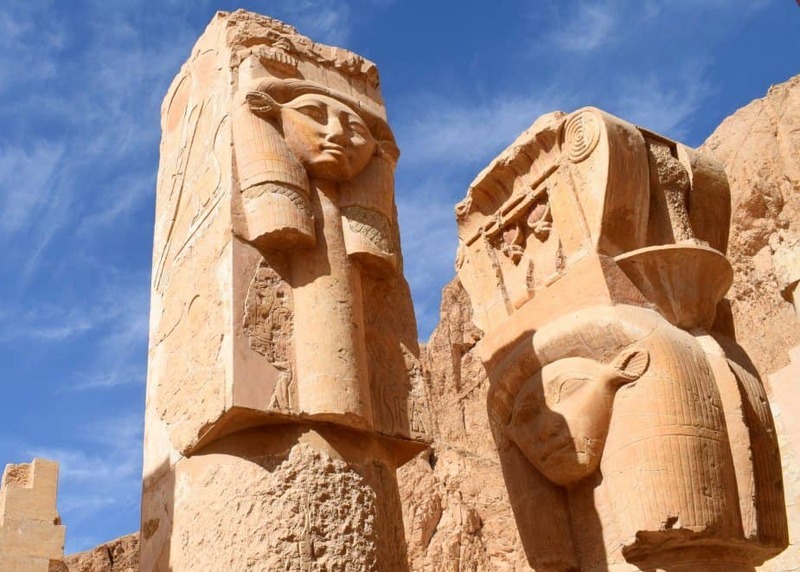 Hatshepsut, a female pharaoh, wearing the pharaonic beard at her mortuary temple. Hathor the cow goddess was the goddess of fertility for women. 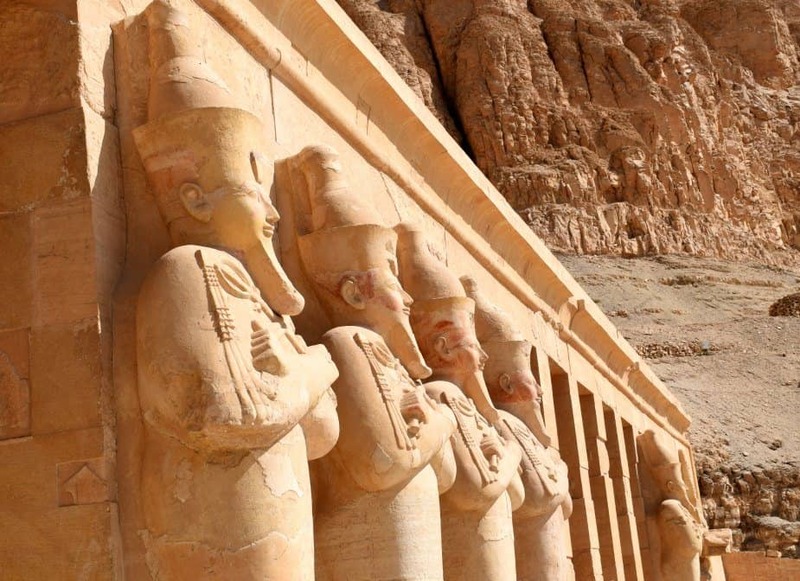 We saw sculptures of Hathor at the mortuary temple of Hatshepsut and at Philae, the temple of Isis. Hatshepsut was a female pharaoh who wore the pharaonic fake beard to show her power. Hatshepsut came to the throne about 1500 years before Christ, 3500 years ago. The 3 main pyramids at Giza, plus the smaller Queens’ pyramids. 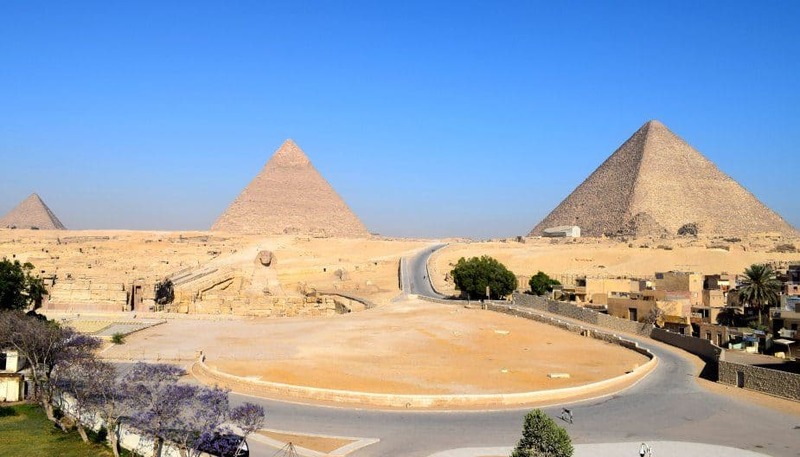 The Great Pyramid is on the right and is one of the Seven Wonders of the Ancient World. There are lots more pyramids in Egypt. The 3 main pyramids at Giza are approximately four and a half thousand years old and were built by the people below. The rock they used came from the other side of the Nile and was floated across before being stacked up by slaves using mud brick ramps. They are not the oldest pyramids in Egypt, there are older ones further south, we saw those too and went inside. Pokemon Go is great in Egypt, the pyramids are Pokestops and gyms. I caught an Arcanine. Going inside the Great Pyramid. Cleopatra was a really famous Egyptian ruler. She was in charge of Egypt at the time of the Romans and even had a son with Julius Caesar, Caesarion. After her reign, Egypt became part of the Roman Empire. Cleopatra wasn’t Egyptian, it is thought her family, the Ptolemies were from Macedonia. The Ptolemies ruled Egypt after Alexander the Great. Cleopatra spoke Greek and thought she was a reincarnation of the goddess Isis. After Caesar was assassinated she had children with Mark Anthony. Cleopatra and Mark Anthony committed suicide around 30BC. It’s really important to know about the Rosetta Stone because this was the key to translating hieroglyphs. You can see it at the British Museum in London. Without it we wouldn’t know nearly so much about ancient Egypt. Rick Riordan’s books on Ancient Egyptian mythology are fantastic and a great way to get kids hooked.The children started reading them around 9 years old and still re-read then at almost 13. These are all full movies, find them online, if your in doubt as to age appropriateness for your kids, give it a Google. 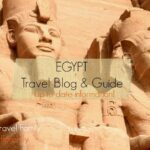 Back to our main travel in Egypt page. I think these kids are pretty well educated on all things Egypt. Whatever you want to call it, worldschooling, homeschooling or unschooling, I hope you can see how well it works. In writing up this blog post the boys also created an English project, practiced their HTML coding, worked on graphic design, photography and art. 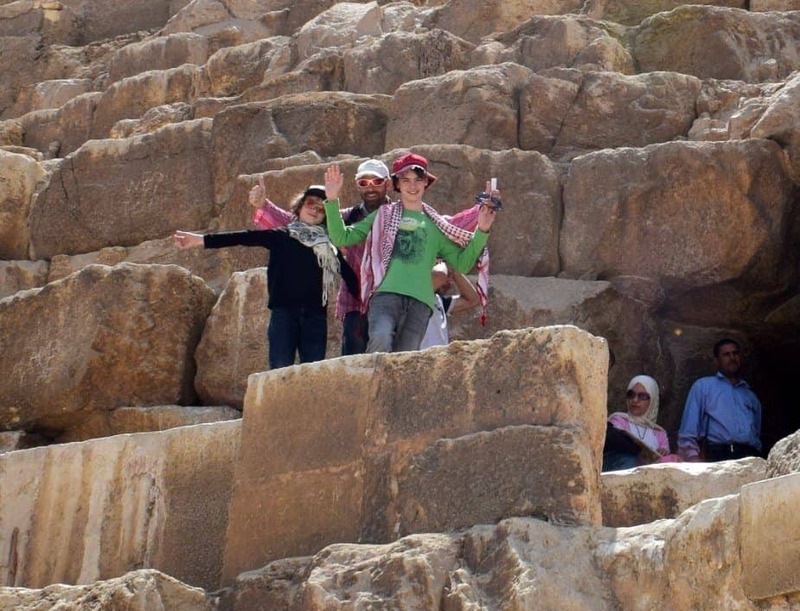 Because of their interest in Egypt they pick up new facts all the time and of course they’ve experienced Egypt today, met the people, seen the cities, contrasted them with the countryside, eaten the food and ridden the trains and buses. They know what Egypt is and what it was. 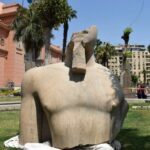 I really enjoyed this article as we will be taking our kids to Egypt next April. Can I ask where in Giza you bought the canopic jars? Were they sold by people outside the pyramids or where they from a shop? I think my daughter would love something like that! A little shop 2 doors up from our guest house in Giza ( the one with the view) Nice older guy, no hard sell. This was really informative! I love how in detail you went! The kids, not me, t’s just some basic facts, not really massive detail. Cheers. This was so interesting! I remember as a kid I became fascinated by Egyptian culture & history when they taught on the subject in school. I’m going to have my son read this, he loves history. I love this post!!! Thanks a lot! 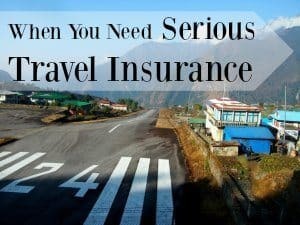 I’d love to read posts like this about other destinations too. This was a fun post! It was interesting to see a place from kids’ perspective. It was very informative and I learned a few things that I didn’t know. Wrote. You should be very proud ???? Not only was it a good read. But I’m sure it was good for your kids too. Involving them in the blog probably helped them see how much work it is for you and gave them a better appreciation. It’s such a good idea, I’m thinking of trying it out myself. That is, if you don’t mind me copying you ???? I think the more we can involve our kids in our lives and ourselves in theirs (in respectful ways, of course) the better we’ll understand and appreciate each other. Thanks for thinking outside the box and trying something new! As a theologian I wonder whether you would like to know the following : Akhenanten’s culte of Aton is not really monotheism; most (let’s say 90%) of historians would agree that the cult of Aton was either henotheism or monolatry. Of course, this may sound like hairsplitting to you … but I thought you might want to know! It’s Aten,the sun disc, They can’t really class it as a God because it’s a thing, or something. I read up on it, but for the boys to know what the above 2 terms mean is more than enough for now! I’m as fascinated by this stuff as you are, we’ve been Googling Moses and the heiroglyph and papyrus record this afternoon, there’s a theory that he was actually another minor pharaoh, which is pretty cool 🙂 After watching the Exodus: Gods and Kings movie, which shows him being raised with Ramesses the Great and a geographically highly inaccurate Memphis . I’m such a nerd! It did Craig. I thought it was important to do this to pull it all together for them. I know for a fact now that they have actually learned something. They’ve also learned a bit more about blogging, I had them doing quite a few technical things above. Thanks! What a great job…so informative!! 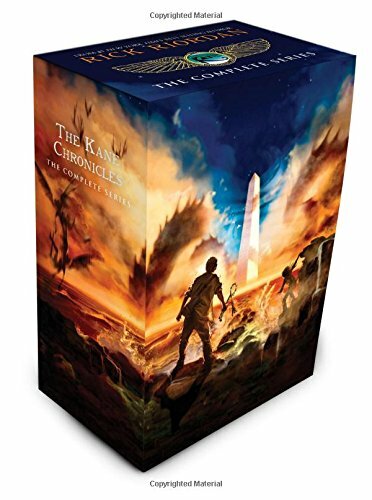 We’re on the 3rd book in the Kane Chronicles and my kids are into ‘all things Egypt’ right now. I can’t wait to show them this post. =) Thx for the referral on the Lonely Planet book. I’m going to check into that. We have the others. ???????? Oh Suzi, life is so good for our kids left to explore the world according to their own intellectual leanings! Keep up the great work my friend. Guess what? We’re heading to Rome at the beginning of June. We’re only there until the 12th, but we are all super-stoked. It’s our kids’ first trip to Europe. 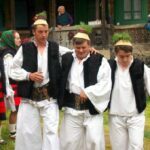 Our next destination goal is Eastern Europe. =)))) Best wishes to all of you. Awesome Suzi ! We almost booked it for about those dates too, D’s birthday, but great grand nanna is coming out to see us and the dates didn’t work. The kids are very keen to go. You enjoy and tell us all about it ! Awesome! How was the political climate there? Did you have any trouble? Absolutely fine Melissa, felt safe as houses, always surrounded by lovely people, families, old people and the airport had the best security I’ve ever seen. The only thing that bothered us was the traffic, we were almost hit by a truck, if you missed that post.